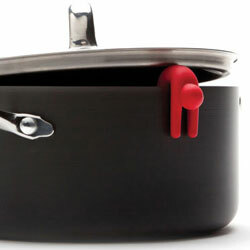 Not all pans lids come with steam release vents and propping a lid on a hot bubbling pan can be a tricky business. 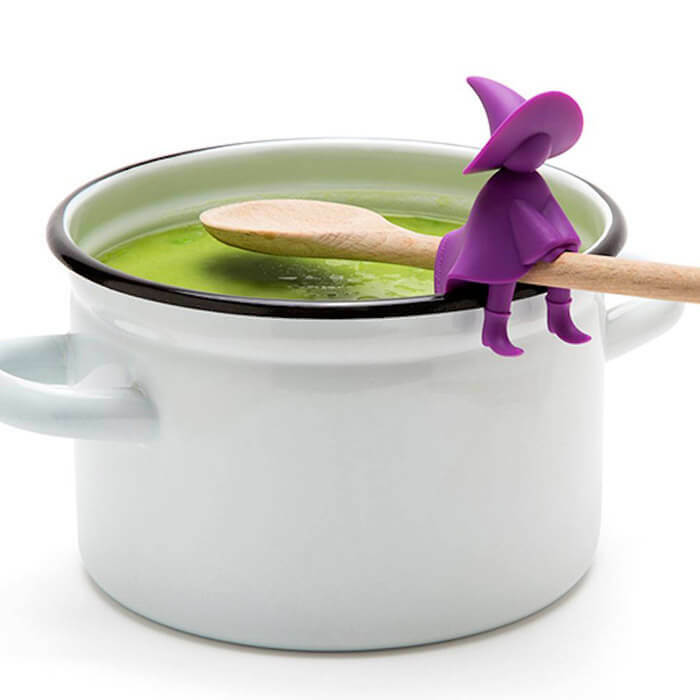 This is where Agatha the spoon holder comes into her own. 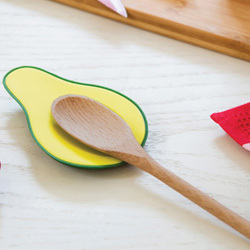 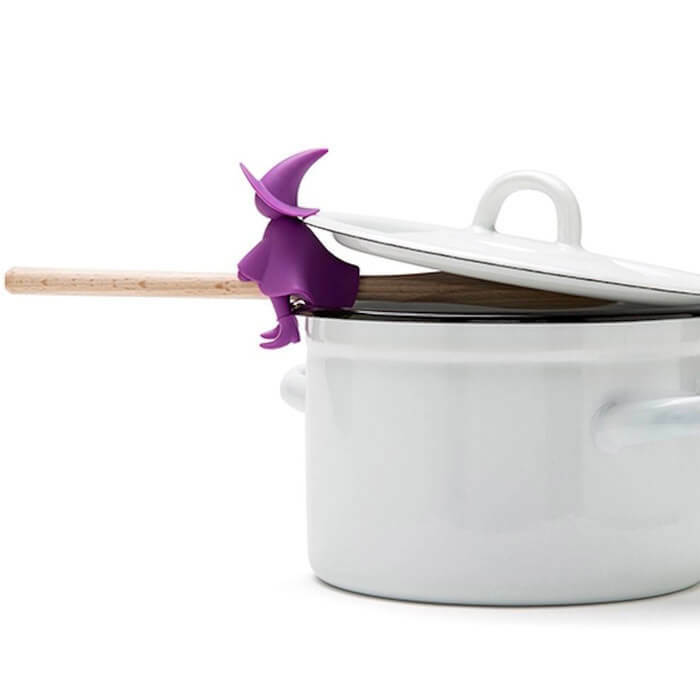 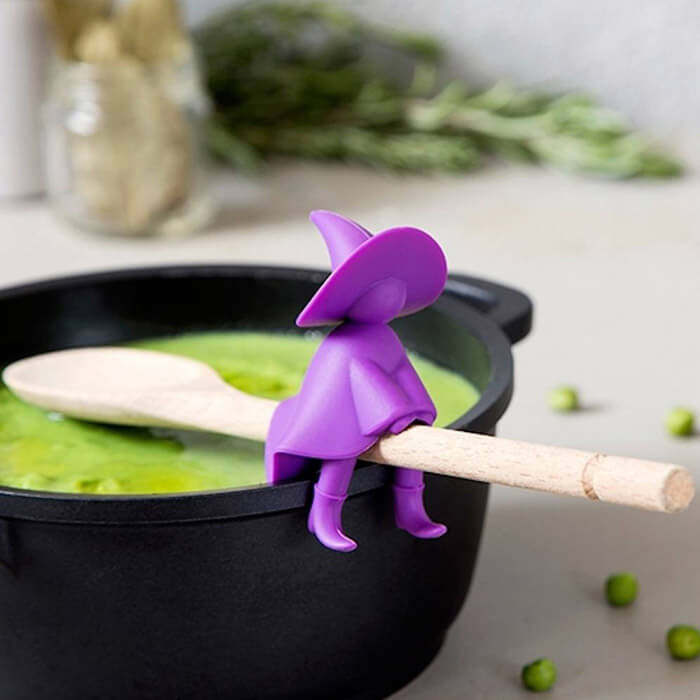 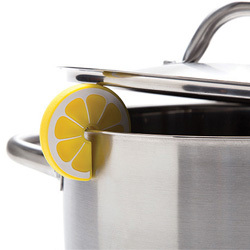 Simple place her on top of your wooden spoon and let her magic cloak tilt the lid slightly to release the steam from your pot of delicious concoctions.